AUGUSTA, Maine — The bill to save an economic development program that helps startup companies raise capital will become law, but it will do so without Gov. Paul LePage’s signature. 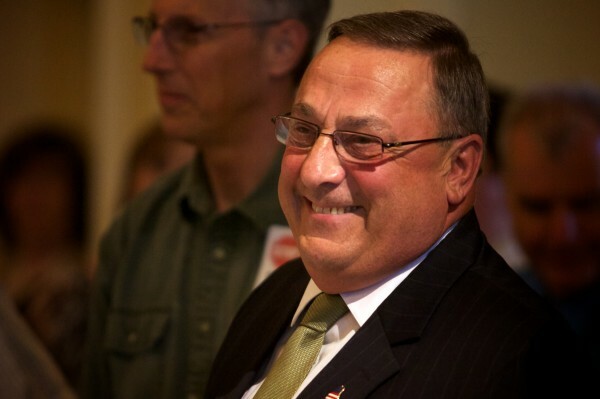 LePage will not sign LD 743, which provides funding for the Maine Seed Capital Tax Credit program, instead opting to let it become law without his signature, John Butera, the governor’s senior economic policy adviser, told the Bangor Daily News on Monday. The Maine Seed Capital Tax Credit program allows people who invest no more than $500,000 in a Maine business with less than $3 million in gross sales to receive tax credits equal to 60 percent of the investment. It also provides tax credits to venture capital firms. The idea behind the program, created in 1989, is to reduce the risk for individuals and venture capital firms that invest in early-stage companies in the state. The program is estimated to have created more than 1,800 jobs in Maine since 2003 and helped retain another 5,000, according to testimony submitted in support of the bill from Elizabeth Bordowitz, CEO of the Finance Authority of Maine, which administers the program. However, the program reached its statutory, lifetime cap of $30 million in tax credits in January 2013. LD 743, which the Maine House and Senate approved in late June, expands the program by providing more funds for tax credits ($675,000 in 2014, $4 million in 2015 and $5 million in 2016 and years after), and scraps the lifetime cap in favor of the annual $5 million cap. Sen. Linda Valentino of Saco, the bill’s sponsor, was unaware of LePage’s decision not to sign the bill until she was contacted by a BDN reporter. Rep. Gary Knight, a Republican from Livermore Falls and a co-sponsor of the bill, was also unaware of the governor’s decision until Monday afternoon. Knight called the bill “a strong supporter of job creation in the state,” and said he doesn’t understand the governor’s decision. Knight said he asked the governor to include funding for the seed capital tax credit program in his original budget, therefore saving the bill from a possible death on the appropriations table, but the governor declined to do so. Knight wouldn’t guess as to the governor’s motives, but said partisan politics could be playing a role, given the amount of “pettiness and partisanship” he observed this past session. Butera said the governor’s decision not to sign the bill wasn’t a political move. As Butera asserts, LePage’s decision to allow the bill to become law without his signature will not have a significant effect on the program or its ability to support Maine’s startup community. If he signed the bill, which was not passed as an emergency measure, it would have become law 90 days after the Legislature adjourned on July 10. By not signing the bill, it will now become law three days after the Legislature reconvenes, which it is scheduled to do in early January 2014. In any case, the bill doesn’t provide tax credits until 2014, when the bill will become law anyway. The Finance Authority of Maine, which administers the program, will begin rulemaking prior to January so that the program rules may be effective at the earliest possible date, according to William Norbert, FAME’s governmental affairs and communications manager. Tim Agnew, a principal at Masthead Venture Partners in Portland and supporter of the bill, said whether politics played a role in the governor’s decision not to sign the bill shouldn’t matter.